OpenGov interviews Jedsada Ariyachatkul (Above centre), Director Information and Communication Technology Bureau at the Customs Department of Thailand, discussing ICT-related projects. What are the areas of focus in terms of ICT at the Customs Department? 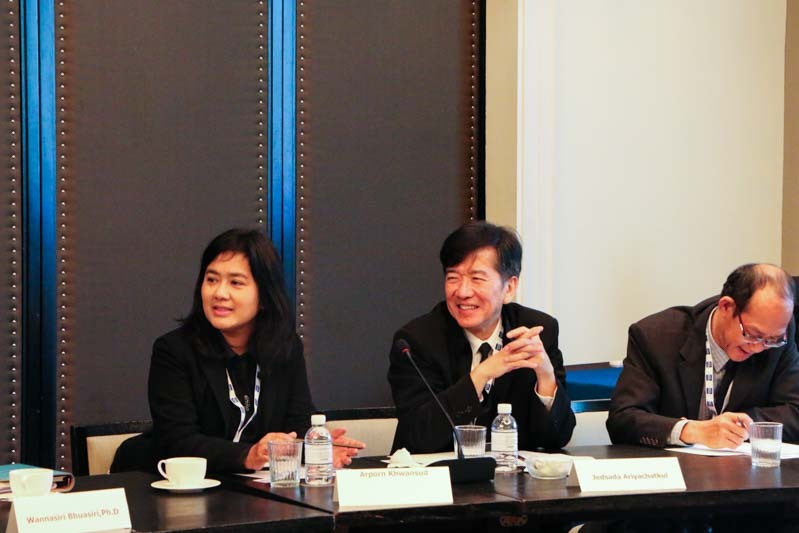 The government is driving a move towards digital for Thailand. All connections, all transactions have to be shifted to the digital mode. The focus for us this year is developing the National Single Window (NSW). We are the leading agency for the project. The NSW system infrastructure has been officially in place, since October 2014. It supports both national and international data linkage and enables secure and efficient electronic exchange of trade-related documents through a single point of entry, in order to fulfil all import, export and transit-related regulatory requirements. Agents, brokers, all importers and exporters can submit declarations electronically and then make payments using electronic fund transfers or e-payment. Thus, NSW serves as the touch point for synchronous processing of data and decision-making, creating a standardised and integrated environment for Customs release and cargo clearance. Importers and exporters can track information they want to know. For example, they can track online when Customs is going to release the goods. Our current objective is to connect to every agency. We have 33 agencies involved in the issue of licenses. NSW enables a paperless system, with electronic issuance of licenses. This year, we are trying to connect to maybe 80% of the agencies. As of September 2016, 25 agencies had completed the establishment of electronic data linkage to use for the customs formalities. In addition, 8 agencies had established data linkage for some kinds of goods. We want to connect to 100% of the agencies by next year. We have MOUs between the agencies to allow to use electronic exchange of documents. Have you faced any challenges in connecting the agencies, with regards to interoperability or other issues? The agencies have their own business priorities. Budgets are also limited. So, the NSW connection might not always be the top priority. We go to each agency, speak to their senior management and bring them on board the implementation project. The connection requires exchange of data between the agencies. So, the agencies have to adopt common standards. Often, many agencies are involved in controlling the same set of goods, whether agricultural products or pharmaceuticals. They have their own regulations, their own data systems, which are not standardised. That adds another layer of complexity. We have to create the standards and drive their adoption. Are you using any kind of big data tools? Not yet, but we have plans to use big data analytics to create an intelligent database for risk management. What cybersecurity measures are you taking? We have all the standard security measures in place, such as firewalls, anti-virus solutions. During next year, we are going to take steps to counter Advanced Persistent Threats (APTs).